Kevyn Aucoin The Contour Book The Art of Sculpting + Defining Volume II For Holiday 2015 | Top Beauty Blog in the Philippines covering Makeup Reviews, Swatches, Skincare and More! 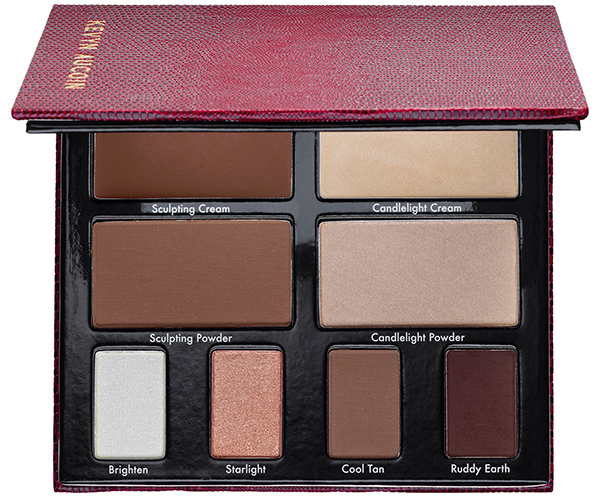 Make cheekbones appear stronger, your face appear slimmer, or create a more sculpted appearance with this contour palette. Kevyn Aucoin is considered to be one of the most iconic, influential makeup artists of our time. He pioneered the "art of contouring" and his innovative techniques transformed the faces of supermodels, celebrities, and women everywhere. This palette features cream and powder versions of his legendary contour products, conveniently in a travel-size palette. From three eye shadows to The Sculpting Powder, this palette has every product you need and a how-to guide to help you shape an expert look. This palette looks so pretty! This palette is so beautiful! Beautiful! Thank you for the kind comment on my blog, always trying to return the support! Bella e mi piacciono le tonalità del colori, molto carina! Beautiful colors, perfect for fall! This palette has great colors and looks pretty! This pallette is like a dream: it actually everything you need to do a perfect pale up look! OMG I love that starlight eye shadow color! This palette is stunning! It's amazing that it has both cream and powder. I love it. Lets sculpt away, lol. this palette is amazing! i love the strong contoured look!